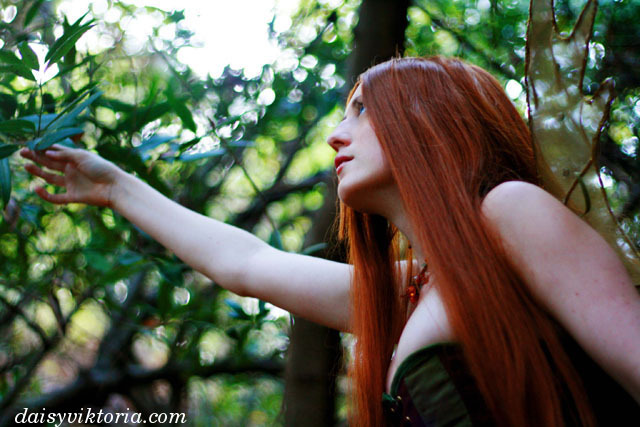 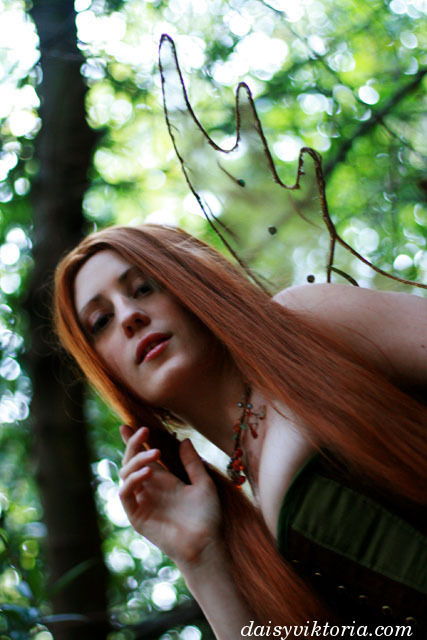 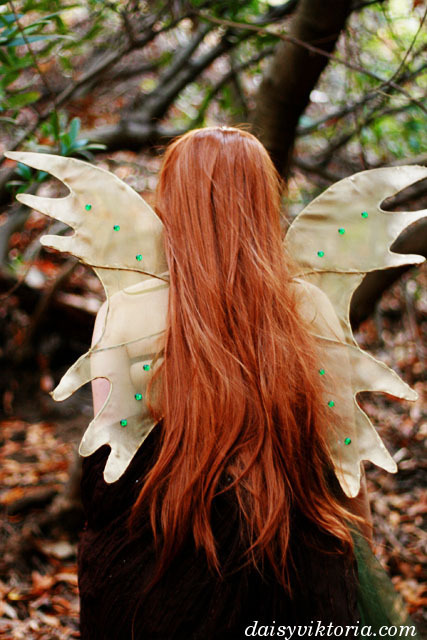 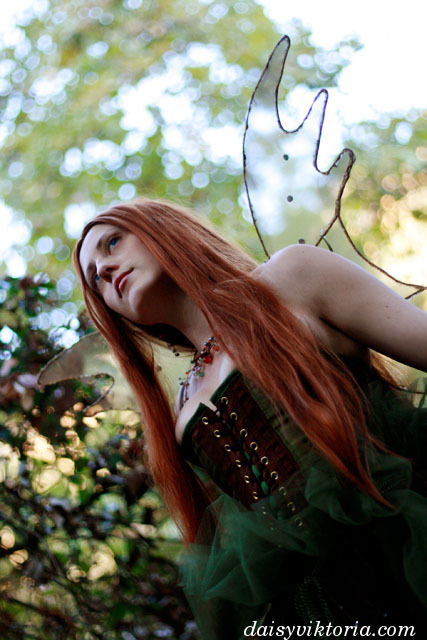 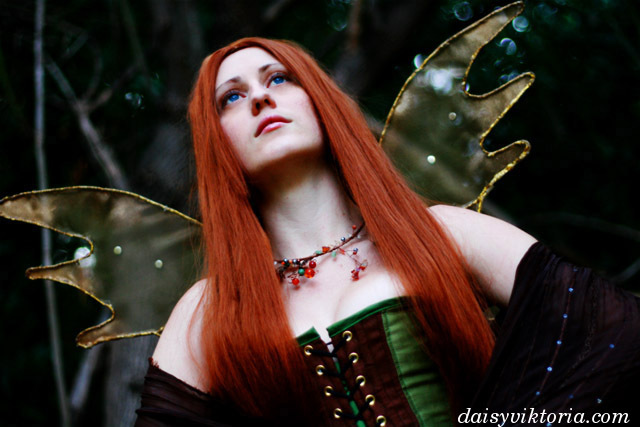 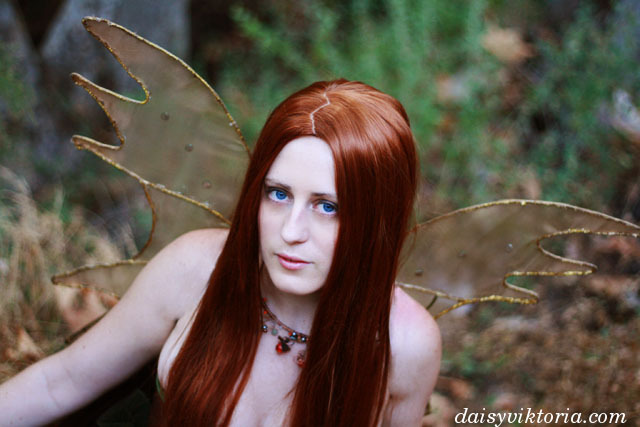 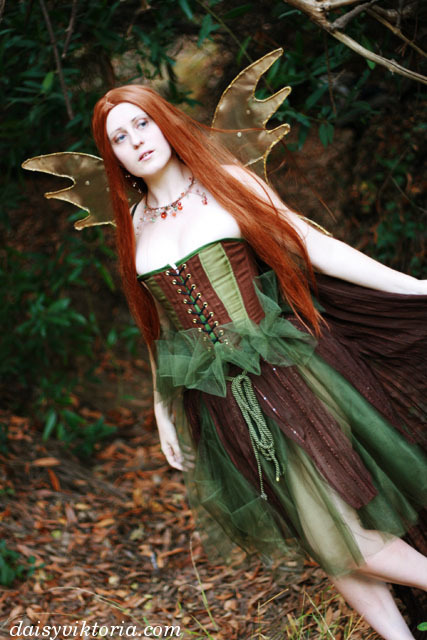 This is Aoife, an original Forest Faerie character. 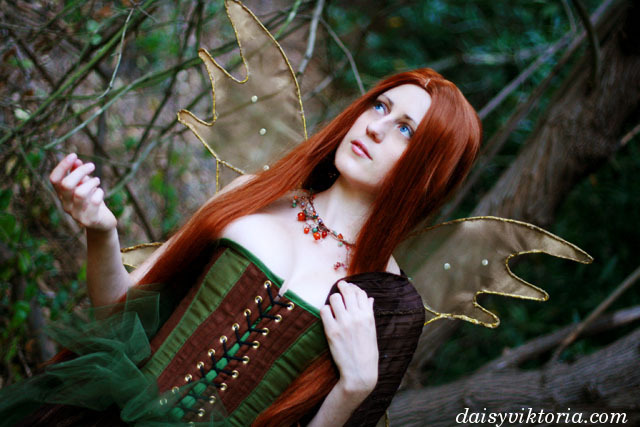 Her costume includes a brown and green corset and a flowing green and brown skirt. 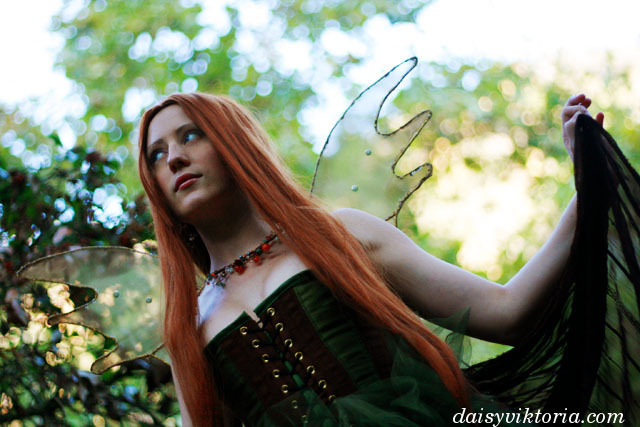 The wings were also handmade with wire and organza.